A Pittsburgh jury acquitted a white former police officer who fatally shot an unarmed black teenager in the back last summer as the young man fled a traffic stop. Video of the incident captured by a local resident and posted online went viral and led to weeks of demonstrations. 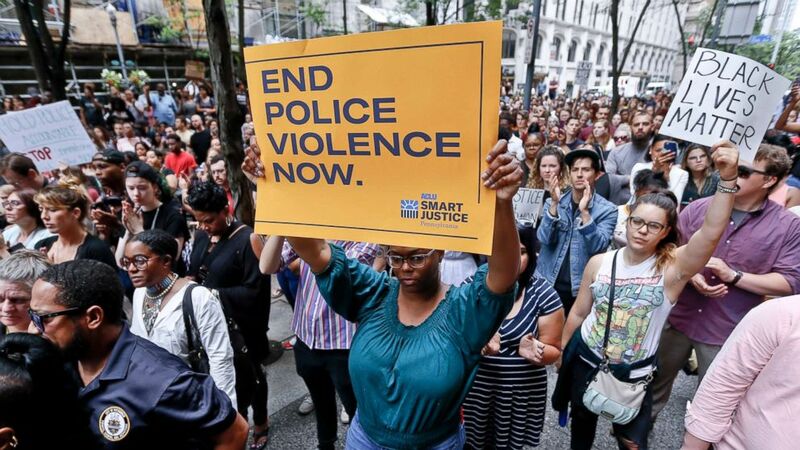 The panel of five women and seven men — three of them African-American — found former East Pittsburgh police officer Michael Rosfeld, 30, not guilty of homicide in the shooting death of 17-year-old Antwon Rose II. Rose was a passenger in an unlicensed taxi that had been involved in a drive-by shooting when the former officer pulled the car over and shot Rose three times as he ran away. Video of the incident was shown to jurors, who watched Rose fall to the ground after the shots were fired, hitting him three times in the upper body, including once in the back. The jury deliberated for less than four hours before returning the not guilty verdict on the fourth day of the trial, according to The Associated Press. 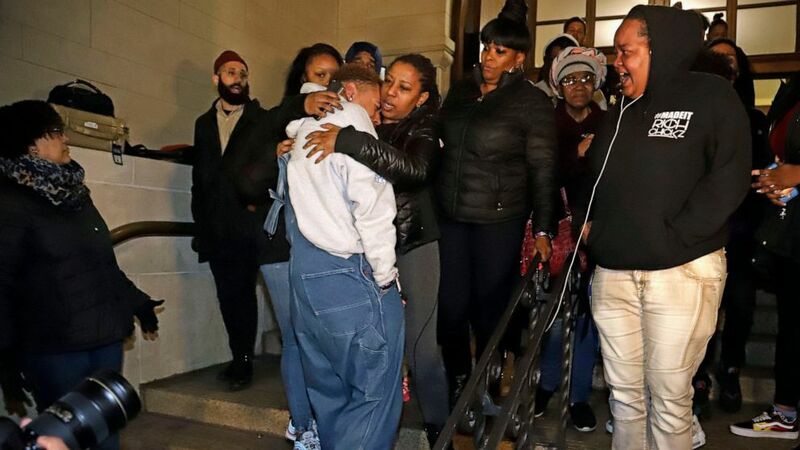 (AP) Michelle Kenney, center, the mother of Antwon Rose II, leaves the Allegheny County Courthouse with supporters after hearing the verdict of not guilty on all charges for Michael Rosfeld, a former police officer in East Pittsburgh, Pa., Friday, March 22, 2019. Earlier on Friday, Assistant District Attorney Jonathan Fodi told jurors in his closing argument that Rosfeld had acted as “judge, jury and executioner,” the AP reported. But Rosfeld took the stand told a jury that he thought that either Rose or another suspect had a gun, and insisting he fired his weapon to protect himself and the community. As the verdict was read, Rose’ family remained stoic, according to the AP, as Rosfeld’s wife began sobbing, and she and Rosfeld were hustled out of the courtroom by deputies. 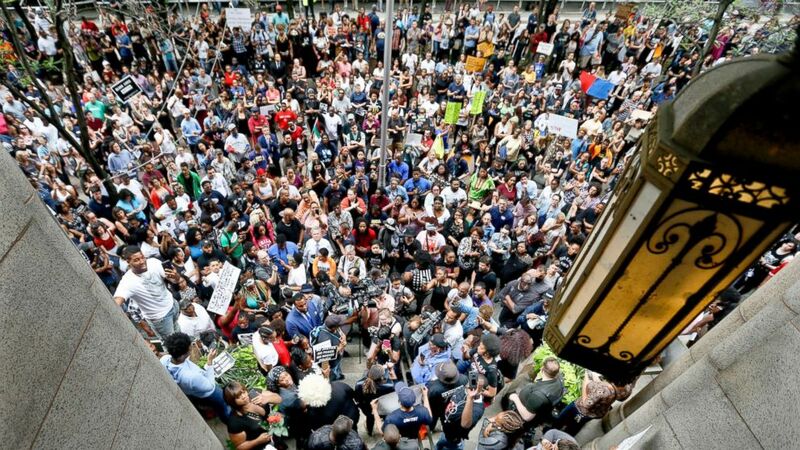 (Keith Srakocic/AP) Protesters swarm the front of the Allegheny County Courthouse as they rally, June 21, 2018 in Pittsburgh for the killing of Antwon Rose Jr. who was fatally shot by a police officer. Last June, Rosfeld told ABC affiliate WTAE in Pittsburgh that the shooting occurred just three weeks after he joined the East Pittsburgh Police Department and just hours after he was officially sworn in as an officer on the force. He said he’s been a police officer since 2011, previously working for the Oakmont, Harmer and University of Pittsburgh police departments, before coming to East Pittsburgh. The family still has a civil suit pending against Rosfeld. Allegheny County Police Department, which investigated Rose’s death, said that Rosfeld pulled the car over because it matched the description of the vehicle involved in the drive-by shooting and that he noticed a bullet hole in the rear window. While Rosfeld was putting the driver into handcuffs, Antwon and another passenger in the car bolted, according to investigators..
(Keith Srakocic/AP) Protesters rally in front of the Allegheny County Courthouse June 21, 2018, in Pittsburgh for the killing of Antwon Rose Jr.
Had it not been for a cell-phone video Shauny Mary, 23, took of the shooting, the story might have ended there. Mary posted her video on social media, sparking angry protests in the streets of East Pittsburgh and elsewhere. (ABC News) An interview of the parents of Antwon Rose Jr., the unarmed 17-year-old who was shot and killed by a police officer on June 19, 2018 in East Pittsburgh. 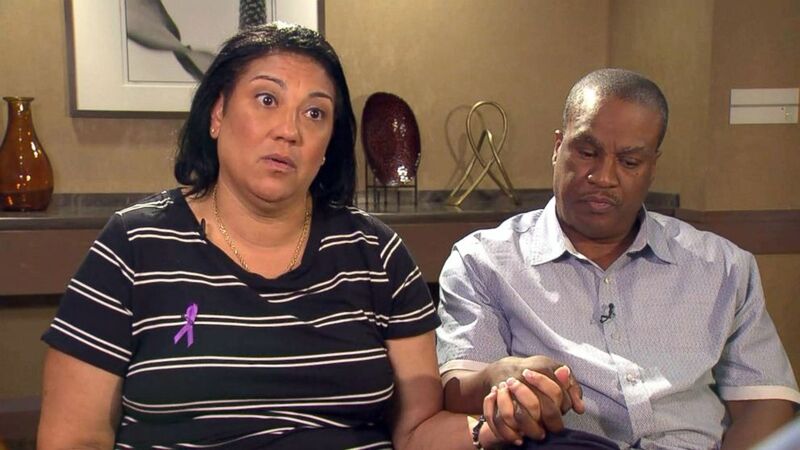 Rose’s grieving parents, Michelle Kenney and Antwon Rose Sr, told ABC News last June that Rosfeld deserved to be punished. The teen’s father said he saw Mary’s video before it went viral — and he initially didn’t realize it was his son because people were saying the boy who was shot was 13-years-old.